Premier Li Keqiang called for manufacturing companies to create a new driving force and stabilize China’s economic growth through innovation. Premier Li made the comment in Henan province on Sept 23. Mass innovation is not only for small and micro-sized companies but also for large companies, the Premier said during a visit to a leading mining machinery manufacturer in Luoyang, Henan. The company set up five workshops led by skilled workers with outstanding manufacturing expertise in 2013. 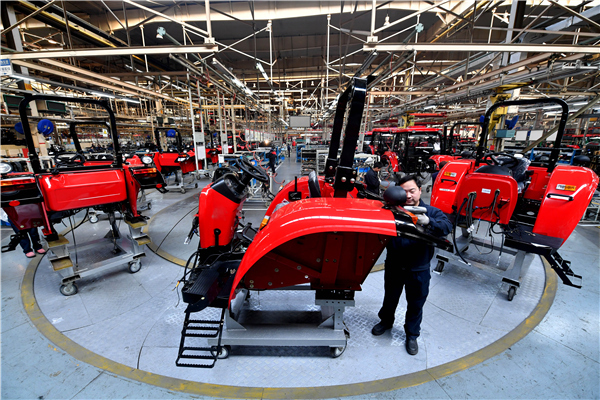 Premier Li said the quality of made-in-China equipment sometimes still lags behind that of developed countries, partly because of the expertise of skilled workers. “The workshop method is innovative, and I hope we use more high technologies in our production in the future, apart from the expertise,” the Premier said.